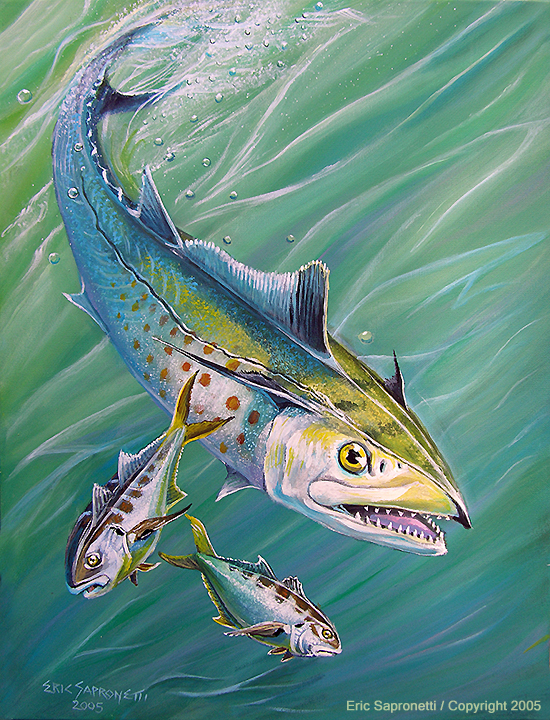 With their sharp, angular features and pointed teeth, Spanish Mackerel can look quite fierce. With their sleek bodies they are fast and highly maneuverable. They have to be if they want to catch a Jack Crevalle! This is painted on stretched canvas and is 24" x 18".